Centrally located, there are a lot of walk to town locations in this neighborhood. It's the only school district that borders on all of the other six districts. Close to Wellesley Center and Linden Square, which is popular for it's shopping and dining options and home to the popular Linden Store, the towns most sought-after sandwiches. 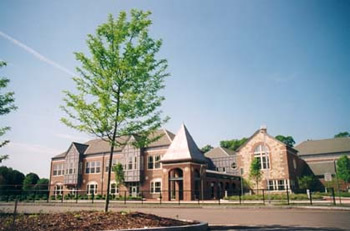 Sprague is the most recently renovated of all the Wellesley Elementary Schools. It of course borders the "Sprague" fields which are used for Little League, soccer, lacrosse and softball. There's also a picnic area and a small tot lot for the young ones as well as four tennis courts for public use. Easy access to Route 9 and Commuter train stops. Search homes in the Sprague School District. Average Sale Price is $1,173,000.